You may have dreamed of it for some time, and now it has finally arrived: the opportunity to work a couple days, or even full-time, from home! Ah, the joys of telecommuting. Here are some things to pay attention to if you are going to be a successful, productive telecommuter and keep your productivity level up. You need to have a place you can go to to get away from distractions. If your kids are at home while you’re working, go into your office and shut the door. Even though you’re working from home, you still have to be mindful that work is required of you. So have a set place where you can work, whether that’s an actual office space or a desk set up in a corner of your bedroom. Treat it as you would your office in your workplace. As appealing as it may sound to just roll out of bed and get to work, that’s not the best idea. Getting up, showering, and dressing as if you were going to work helps to get you in the right frame of mind. It helps you and those around you to remember that you’re working, not just bumming around the house. Along with this, have a set start and end time. Don’t allow your hours to get ridiculously late. Stick to the clock, just as you would at work. Now you actually have the opportunity to prepare healthy, quality meals. Take out or junk food isn’t your only option now, so take advantage of the change. Don’t just snack through lunch, as tempting and easy as that might be. Take a break, eat a healthy lunch, then get back to work feeling motivated and refreshed. Since you’re telecommuting, you have to be able to manage your schedule a little more closely. What do you need to have done by the end of the day? What projects require your attention? Do you need to make any business calls? Know what needs to get done and make a list with those things. Enjoy the satisfaction of crossing them off throughout the day. It’s also handy for when your boss checks in and asks what you’ve accomplished. You’ll have a neat little list to rattle off. Let them know that, though you’re home, you are still working. This means that other than emergencies, you shouldn’t be disturbed. Hang a sign on your door that lets your family know if you’re busy or if it would be okay to interrupt. Communicating your expectations with them right away will help you all in the long run. Just because you’re working from home doesn’t mean you should vacuum the whole house, entertain periodic drop-in guests, or go to all of those unnecessary appointments all day long. Invest in some noise-cancelling headphones to help you stay focused on your work. Don’t answer the door and avoid answering your phone other than for work. While you’re at it, if friends have the tendency to stop by during the day because of your “flexible schedule,” politely let them know that that’s not going to work. Telecommuting isn’t for everyone. If you try it out and find that you don’t like it or it doesn’t work for you, it’s fine to go back to the office. 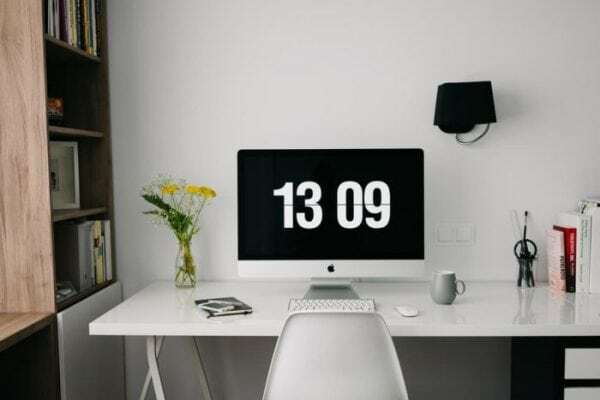 However, if you enjoy it and your boss is happy with your work, then use these tips to excel with ease while you work from home.